There are so many reasons why I adore these gloves. First of all the folds... I don't know what it is about fabric manipulation that I find so addicting, but folds in fabric gives me the same happiness feeling that chocolate does, but without the calories. Secondly, it's a sewing pattern! I wanted to make a few fingerless gloves as Christmas presents, but I could not find any that weren't crochet or knit pdf patterns. If I had the time or talent to knit that would be great, which brings me to my third reason - it's a quick pattern. Lastly, this pattern works well with cotton stretch fabrics and a woven fabric with some stretch or loosely woven fabrics. It's nice to have fabric options. The pattern also includes tips on sewing with cotton stretch fabrics on a home sewing machine. 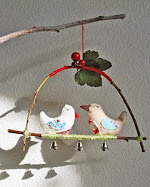 The pattern is a PDF with instructions, illustrations and full size pattern pieces. Because it's a PDF there are no shipping charges and it's emailed to you within 24 hours. 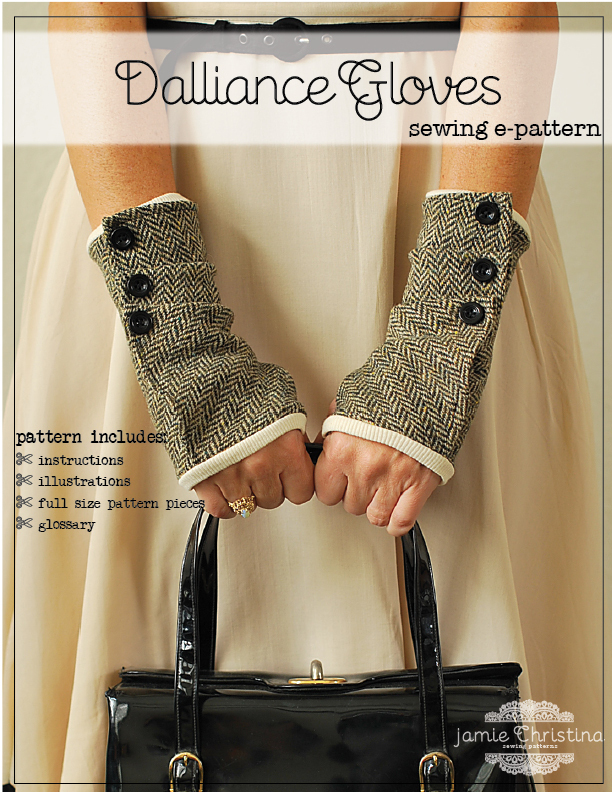 The Dalliance Gloves sewing e-pattern is available at jamiechristina.com, phatfabric.com and Pretty Ditty (etsy shop). Made a quick trip to Blog World and thought I'd pay my good friend a visit. I love fingerless gloves, they are so practical and you found a way to make them extra pretty. Those are utterly adorable! They remind me of spats. Definitely bookmarked for my ever growing list of 2011 projects! 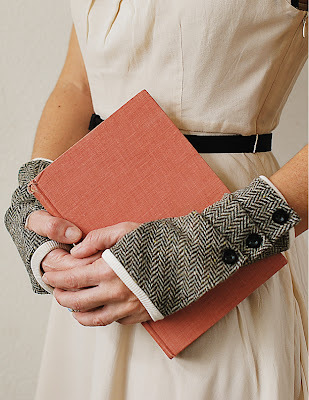 Dearest sweet jamie, this pattern is the cutest! I don't know how to crochet or knit and so this is perfect for me! 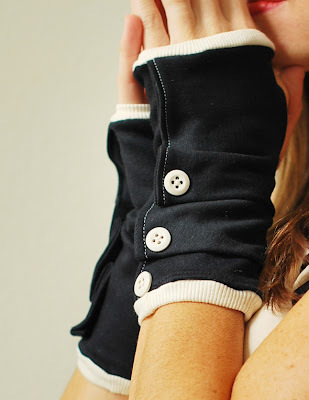 I also adore those cute little folds but it's hard to find cotton stretch fabrics and a woven fabric around here. Have a lovely merry happy week and love to you! I've just discovered your pattern 10mn ago and ordered it in Etsy : I'm totally in love ! I know how to knit but it take me so much time that I was telling myself that I would like to do sewing gloves... and here come yours ! They're so much nicer that I would have done alone ! What perfect timing- I've started a new job and it can get pretty cold so gloves are quite desirable, but I need my fingers free, and I find my fingerless gloves a bit fussy, so this pattern looks perfect as they look so clean and simple- and warm too!